While running services is hard, it’s also fun. It confronts you with a whole set of engineering challenges because you’re building — and running — large scale systems. 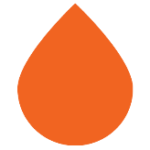 So after 18 great months working on the InfluxDB source, I’m returning to Services and have started a new role with Percolate, as Director of Engineering on their Data Platform team.